Although I had planned to finish Jonathan Strange & Mr Norrell for Bout of Books 24, I only finished it a couple of days ago. It is a massive book – clocking in at anywhere between 750 and 1000 pages, depending on the edition. I couldn’t lay it on my lap without crushing my legs into oblivion. After reading the first half in hardback, I finally caved in and borrowed an electronic copy through my library’s Overdrive. Jonathan Strange & Mr Norrell by Susanna Clarke is a historical fantasy set in England during the Napoleanic Wars. The eponymous Mr. Norrell is the only practical magician in the country, even though there are hundreds of theoretical magicians who research the history of magic. Theoretical magicians cannot perform a single spell. In 1806, two members of The Learned Society of York Magicians ask why practical magic is no longer encouraged by the society. After much bickering, the leaders agree to write to Mr. Norrell to ask him to attend the next meeting. But the only practical magician in England has no patience for theoretical magicians and their ridicule of “true” magic. The Learned Society of York Magicians must agree to disband if Mr. Norrell proves that he can perform magic. When the statues of the York Cathedral suddenly begin to speak one winter day, the Society members are forced to concede defeat. Thus begins the public career of Mr. Norrell, a clever but narcissistic magician. He starts his own journal of magic and offers his services to the king. One of his closest friends is a Cabinet member, Sir Walter Pole. Pole is engaged to a woman who is deathly sick, although her mother refuses to acknowledge her infirmity. When Emma Wintertowne – the fiancée – dies before the marriage day, Mr. Norrell offers to raise her from the dead. But to do so, Mr. Norrell has to summon a mischievous fairy. 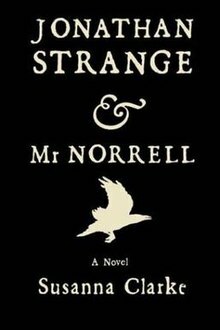 The second half of the book mostly follows Mr. Norrell’s student Jonathan Strange, an equally arrogant and accomplished magician. He and Norrell do not see eye to eye on anything. Strange is a devoted follower of the Raven King – a magician who established his kingdom in Northern England and trained a number of prominent magicians during the middle ages. Mr. Norrell, on the other hand, thinks that nothing good can come of fairies. He’d know. But if they can’t get along, how will Jonathan Strange and Mr. Norrell address the evil that the gentleman with the thistle-down hair has been brewing in England? Despite its length and copious footnotes, Jonathan Strange and Mr Norrell is a page-turner. I was impressed by the accuracy of Clarke’s imitation of 19th-century English prose. At numerous points in the novel, I thought I was reading a Victorian novel. Yet, Clarke subverts in significant ways the clichés of gothic fantasy. It is also the perfect book for readers who enjoy fantasy about the history of magic. Susanna Clarke has invented an entire history of magic to accompany her novel. There are numerous, lengthy footnotes that accompany the narrative. Because I love research, I did not skip a single footnote. I found that they added to my reading experience. Nevertheless, I don’t think you will miss much if you choose to skip them. Although there were a few scenes that could have been edited out, I was sucked in by the novel’s spooky atmosphere. This is the perfect book to read in fall or winter. The gentleman with the thistle-down hair is a morally-complex character, despite the damage that he wreaks in the lives of the magicians’ friends and family members. 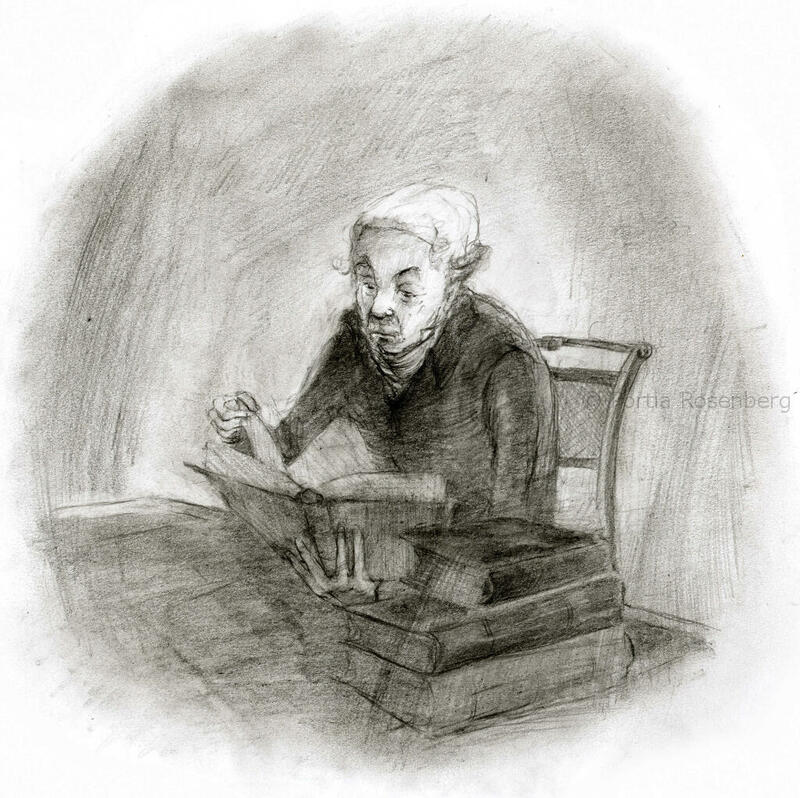 More than once, I sympathized with his diagnosis of Mr. Norrell’s enterprise. It may be a bit old-fashioned of me to say that I prefer fantasy about magicians, wizards, and the history of magic. The fantasy genre is breaking new grounds and abandoning its “wizard’s apprentice” origins. But I am a sucker for those fantasies. Jonathan Strange and Mr Norrell was a very satisfying novel, and I look forward to reading more by Susanna Clarke.